THE WARRIOR’S WAY: Would You Believe… A Samurai Spaghetti Western Fable? – Schlockmania! Every year, there’s at least one movie that everyone just misses the boat on. From the daily review brigade down to the online bloggers, this unlucky contender just can’t seem to get any respect or notice from any tastemakers and said film slips between the cracks of the marketplace. Your Humble Reviewer’s vote for the unlucky victim of this curse in 2010 would definitely be The Warrior’s Way. This offbeat blend of samurai film and spaghetti western was generally shrugged off when it hit theaters in December – and it’s a shame because it’s the kind of eccentric, inventive little film that deserves to find a cult audience. 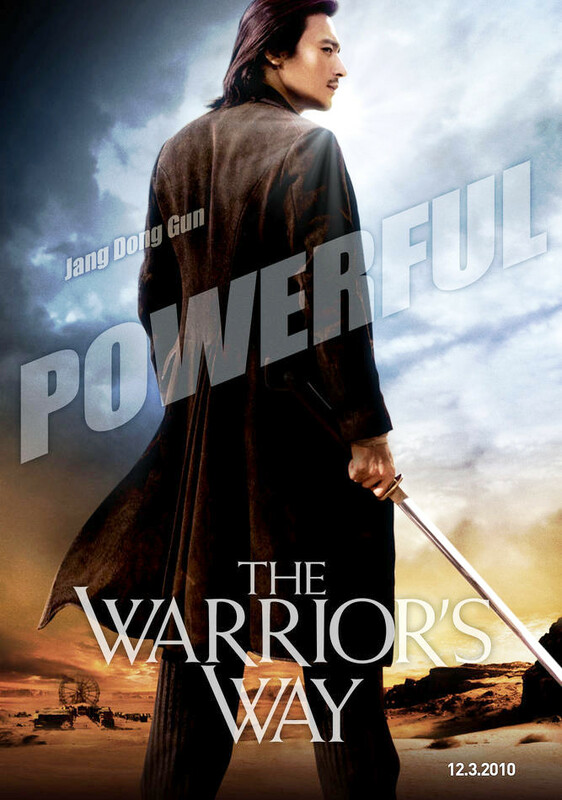 The Warrior’s Way is the story of Yang (Dong-gun Jang), a dead-eyed soul who has been trained since childhood to be the most lethal swordsman of all. He achieves the pinnacle of his profession in an opening sequence that plays like something from a Lone Wolf & Cub film but experiences a moment of doubt when staring down his final task: the murder of a helpless infant who is the last surviving member of the clan he was instructed to kill. Instead of killing the child, he decides to seal his sword shut so his clan will never hear it again and thus be unable to track him down. Yang takes the child to America, searching for a friend in the old West. He discovers his friend is dead and the town’s main inhabitants are a group of circus performers led by Eight Ball (Tony Cox), their midget ringleader. Yang decides to settle down there and ends up running the town’s laundry through the prodding of Lynne (Kate Bosworth), a young woman whose go-getter exterior hides a tragic past. 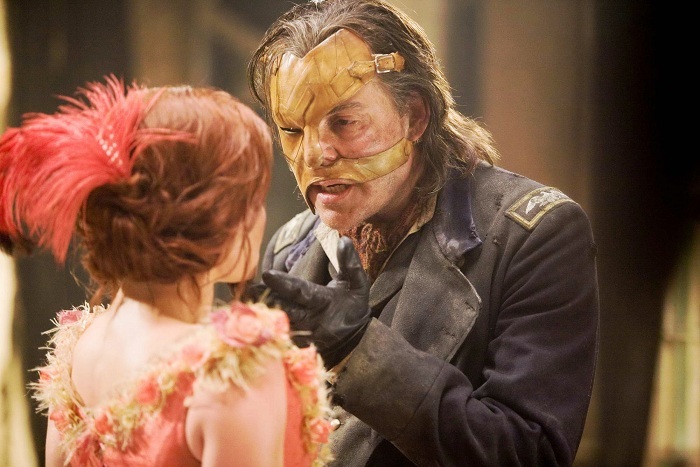 However, this domestic peace is interrupted when the General (Danny Huston), a scar-faced criminal leader with a history of terrorizing the town, resurfaces. It’s inevitable that Yang will have to pick up his sword – and when he does, the clan he abandoned will come calling. As the synopsis should indicate, The Warrior’s Way is an odd duck. It plays its outrageous storyline straight: in fact, it often plays like a fable, weaving in lyrical sequences like Yang training Lynne how to fight with knives on the desert sands against a starlit backdrop. However, it is not a humorless affair either. There is an oddball sense of humor at play here: the General is written as a perverted fop instead of the expected generic sadist/villain and Yang’s learning curve in how to handle a child or live as a civilian is mined for the occasional sly laugh. Thankfully, the film’s odd blend of lyricism and eccentric wit is bolstered by stylized performances from a unique cast. Jang is a pro at the action scenes but also shows a flair for deadpan humor in his quietly bemused reactions to his fellow townspeople. Bosworth gets a showier role and really sinks her teeth into it, covering all its screwball humor, drama and action demands with a likeable amount of energy. Huston makes a good villainous foil for the hero, clearly reveling in the opportunity to play such a joyfully nasty character. Elsewhere, Geoffrey Rush plays a drunken gunslinger in a way that conjures up fond memories of Lee Marvin in Cat Ballou and Shaw Brothers fans will be delighted to see Ti Lung in a brief but crucial role as Yang’s cold-blooded former mentor. Cox also deserves notice as the leader of the circus troupe: he’s funny but also brings a sense of authority and dignity to his role that you might not expect. However, the ultimate fate of The Warrior’s Way rests in the hands of its writer/director, first-timer Sngmoo Lee. 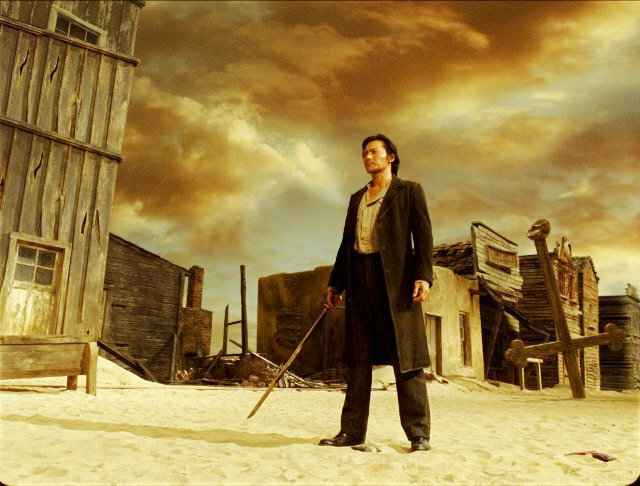 Thankfully, Lee has done his homework and creates a film that pieces together its own dreamlike world while paying tribute to a variety of influences: for example, there is a flashback scene that plays explicit homage to a similar scene from High Plains Drifter, right down to have a midget character as a reluctant onlooker in the scene. 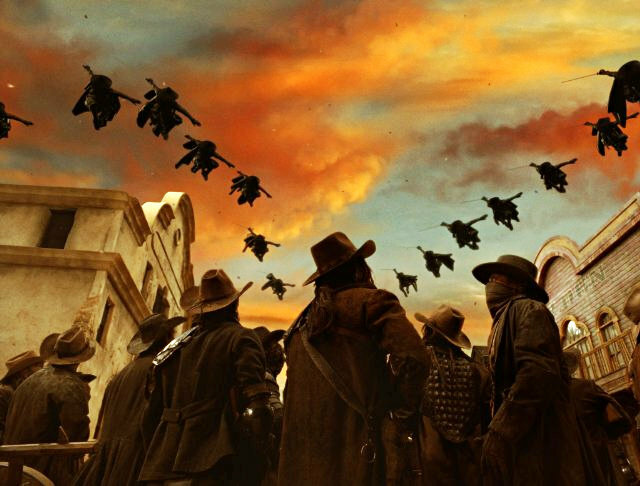 He mixes digital and practical effects to create a look that makes one think of what a Guillermo Del Toro western might look like. He also has an eye for surrealistic visuals, like the circus performers picking up guns to fight during the finale (you haven’t lived until you’ve seen Fellini-style clowns involved in a shootout). 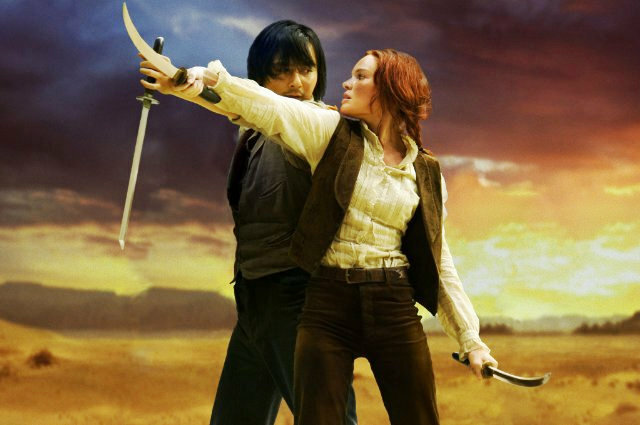 The end results aren’t flawless – the big criticism here would be that the action-oriented second half of the film doesn’t flow as smoothly as the atmospheric first half does – but the verve and creativity that Lee brings to his offbeat melange of styles and genres shows a passion that is charming. If your cult-film palate is diverse to include both the samurai film and the spaghetti western, you just might find something to like here – and it’s a sure bet that you haven’t seen anything like The Warrior’s Way lately. I figure that audiences didn’t rush out to see this film due to its CGI heavy TV commercials/trailers(making it resemble another MATRIX-style film),for I’m sure that it’ll be largely re-discovered when it makes it DVD debut. Yeah, I didn’t find the trailers particularly thrilling – but I was pleasantly surprised when I caught up with it at my local second-run theater. It’s surprisingly good and worth a look when it hits DVD/blu-ray (in fact, it’s souped-up visual style is likely to look very good on a flat-screen t.v. ).